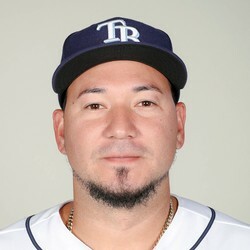 Jesus Sucre went 3-for-4 with three RBI and a run scored to lead his team over the Yankees 5-3 on Saturday. He drove in a run with a single in the seventh inning, then plated Cedric Mullins and Joey Rickard with a double in the ninth. Don't expect many games like this from Sucre as the veteran catcher has just a .221 batting average over his career. Sucre is only worth owning in two-catcher leagues if there are any left around.